The Canterbury region has such varied landscapes it’s worth spending a while exploring it on a series of day trips. Top of your list should be a Hanmer Springs day trip from Christchurch. It’s the perfect getaway, year-round. Don’t make the mistake of visiting Christchurch and thinking you’ve ‘done’ Canterbury. This sprawling South Island region has such varied landscapes it’s worth spending a while exploring it on a series of day trips. Top of your list should be a Hanmer Springs day trip from Christchurch. It’s the perfect getaway, year-round. Just a couple of hours north of Christchurch, the small alpine town of Hanmer Springs is a fantastic place to stop and spend some time, especially if you’re in need of some serious relaxation. As you might expect from the name, the town is famous for its natural mineral hot springs. Visitors have flocked here since the mid-19th century for a restorative soak in the springs, and to enjoy the clear mountain air and beautiful views. Today, Hanmer Springs Thermal Pools and Spa is a world-class facility with something for everyone. There are natural rock pools and sulphur pools for the purists. For those after a little luxury, grab a private pool, indulge in a beauty treatment or massage or hit the sauna and steam rooms. And for the young (or young at heart) there are hydroslides! If lounging around in a hot pool isn’t for you – or if your fingers and toes are turning into prunes – there are plenty of other activity options in Hanmer Springs. Explore the native forest on a bush walk or go mountain biking, take a jet boat or canoe safari, go fishing or play golf. During winter Hanmer Springs is also the perfect base for a Canterbury ski holiday, with the Hanmer Springs Ski Area at Mt Patrick and Mt Lyford both a short trip away. When it’s time to refuel, foodies will be happy with the variety of Hanmer Springs cafes, restaurants and bars on offer. Boutique stores line the main street with local and handmade products. A Hanmer Springs day trip is now easier than ever thanks to new bus services between Christchurch and Nelson. The short bus ride from Christchurch is full of breathtaking views, crossing the Hurunui River and passing the Balmoral Forest. 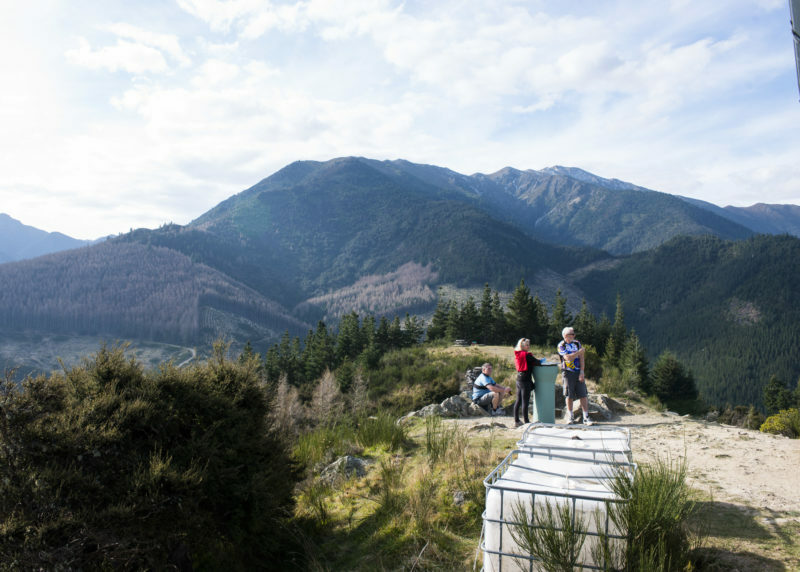 If you’re coming from Nelson you’ll make your way through the picturesque wine region of Marlborough and past the Victoria Forest Park. Find out about buses to Hanmer Springs. If you’re just planning to visit the hot pools and have a wander through town, a Hanmer Springs day trip is just the thing. But there’s plenty to do there, and if you decide to stay a little longer you’ll find accommodation to suit every group size and budget.